Stanford, California – Former World No. 2 and 2015 Wimbledon semifinalist Agnieszka Radwanska has committed to play the 2015 Bank of the West Classic, August 3-9 at the Taube Family Tennis Center on the campus of Stanford University. Tickets for the Bank of the West Classic are on sale now. Individual tickets to the tournament’s opening round start at just $33 while ticket packages start at $205. For more information, or to purchase tickets, go to www.mubadalasvc.com or call 866-WTA-TIXS (866-982-8497). Radwanska, who will be competing in her third Wimbledon semifinal in four years following a three-set victory over fellow Bank of the West Classic entry Madison Keys, joins an already strong field which includes World No. 1 and defending champion Serena Williams, World No. 9 Carla Suarez Navarro and World No. 10 Angelique Kerber along with rising stars Keys and Garbine Muguruza. Overall the tournament boasts nine of the top-20 ranked players in the world including No. 11 Karolina Pliskova, No. 14 Andrea Petkovic, No. 17 Elina Svitolina, and No. 18 Sabine Lisicki. Mugaruza, who is also in the Wimbledon semis, will face Radwanska on Thursday with a spot in Saturday’s women’s final on the line. Williams will take on Maria Sharapova in the other semifinal. Qualifying will be held August 1-2 and is free to the public. ABOUT THE BANK OF THE WEST CLASSIC: The Bank of the West Classic is the longest-running women-only professional tennis tournament in the world and is the first stop of the Emirates Airline US Open Series. 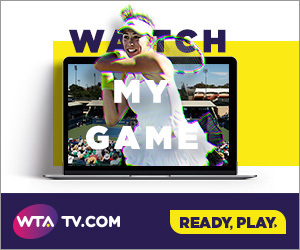 Owned and operated by IMG, the WTA Premier event features a 28-player singles draw and a 16-team doubles draw with total prize money of $710,000. Held on Stanford University’s campus at Taube Family Tennis Stadium since 1997, former champions include: Billie Jean King, Chris Evert, Martina Navratilova, Andrea Jaeger, Monica Seles, Martina Hingis, Lindsay Davenport, Serena Williams, Venus Williams and Kim Clijsters.